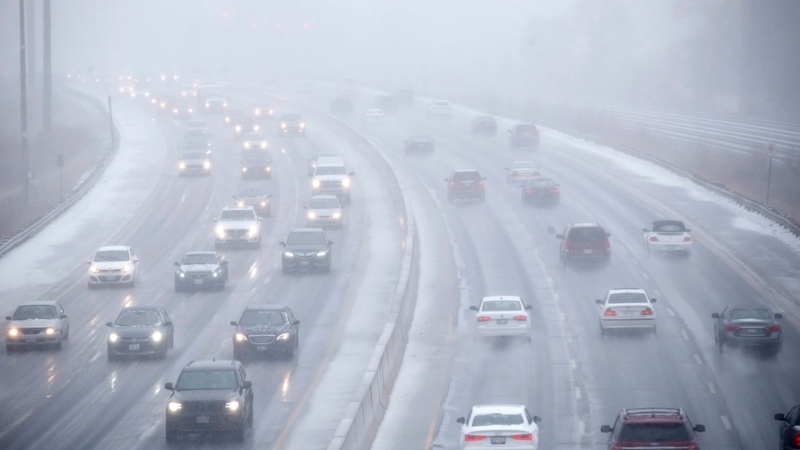 A wintry storm brought rain, freezing rain and ice pellets to much of southern Ontario over the weekend, causing power outages, flooding and an ‘almost unprecedented’ 1,400 collisions on slippery Toronto-area roads. The weather system affected most of southern Ontario on Saturday and Sunday, and freezing rain warnings were issued Sunday afternoon for parts of southern Quebec including Metro Montreal. Ontario Provincial Police Const. Kerry Schmidt told CTV Toronto that there were about 700 reported collisions on Greater Toronto Area roads on Saturday and another 700 by dinnertime Sunday. As of Sunday evening, more than 42,000 customers in rural Ontario were without power, according to Hydro One. Toronto Hydro said thousands in the city were in the dark. There were also outages in the Windsor area, which was expected to get up to 40 millimeters of rainfall by Sunday night, with up to 60 milimetres possible in some local areas. The heavy rains led to flooding and downed trees. “We were pretty shaken but thank God nobody got hurt,” he said. 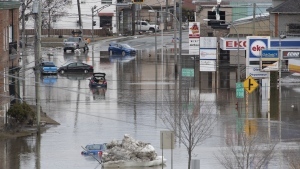 Geoff Coulson, a warning preparedness meteorologist with Environment Canada, told CTV News Channel that the rain could impact the Monday morning commute. Toronto Mayor John Tory said clean-up crews were “well-equipped” to handle the mess, despite not being at peak winter capacity. “We just have to hope the rest of the weather event is something that we can get through, and then maybe spring will actually be here,” he told reporters earlier on Sunday. Toronto's Pearson Airport and Billy Bishop Toronto City Airport urged passengers to check the status of their flights before heading to the airport, as hundreds of flights had been cancelled, including nearly all flights at Billy Bishop. Pearson airport said late Sunday that while operations were “moving steadily,” people should continue to check the statuses of their flights on Monday. “Higher than normal passenger volumes (are) expected early this week as passengers are rescheduled for departure,” the airport said on Twitter. Have you already taken off your winter tires?